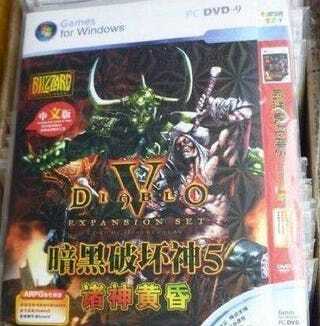 It also has the Diablo V expansion pack. Meanwhile, the rest of the world patiently waits for developer Blizzard to finish Diablo III. Oh, China. Thanks for the tip, Victor!